This sweet little kitty offers all the soft, snuggly fun of a real pet—without shedding hair, expensive food, vet bills or messy litterbox! 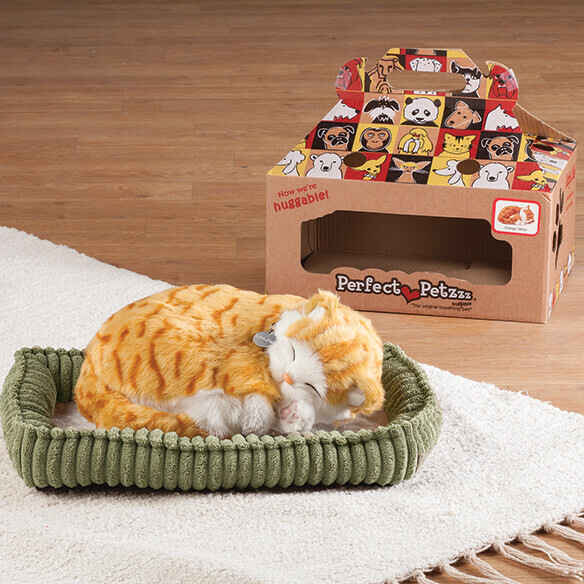 Unlike other plush toys, the Perfect Petzzz® Orange Tabby is so wonderfully lifelike, her belly goes up and down continuously to look like she's breathing! She is soft as a newborn kitten, making her a cuddly comfort to kids, adults and cat lovers of all ages. 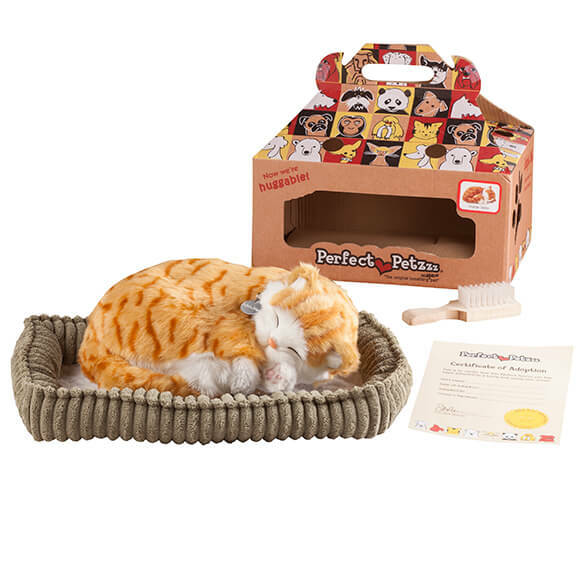 The Perfect Petzzz cat set includes your new adorable kitten wearing a collar with pet tag, plush cat bed, brush, adoption certificate for you to fill out. 10" x 7 1/2" x 3 1/2"